Education and water rank as Arizonans’ top two priorities among state residents, according to a new poll by ASU’s Morrison Institute for Public Policy and the Walter Cronkite School of Journalism and Mass Communication. When asked to prioritize the K-12 system in the context of state spending – very high, high, low or very low priority – nearly nine in 10 Arizonans (89 percent) responded very high (46 percent) or high (43 percent) in terms of funding consideration for education. Law enforcement and public safety ranked third (82 percent) in the poll, yet Arizona’s prison system ranked lowest among the 11 listed priorities (42 percent). In regard to state funding, nearly eight in 10 Arizona adults believe Arizona spends too little on K-12 education, with nearly two-thirds willing to put additional money into K-12 education, according to the poll. While the vast majority of Arizonans is concerned about the state’s kindergarten through 12th-grade education system and believes further investment and improvements are critical, Arizona consistently hovers near the bottom of all 50 states in academic quality, achievement and per-pupil spending. Meanwhile, among the 11 issues offered to respondents, “maintaining adequate water and water quality” ranks at that same level of importance (87 percent) as education. 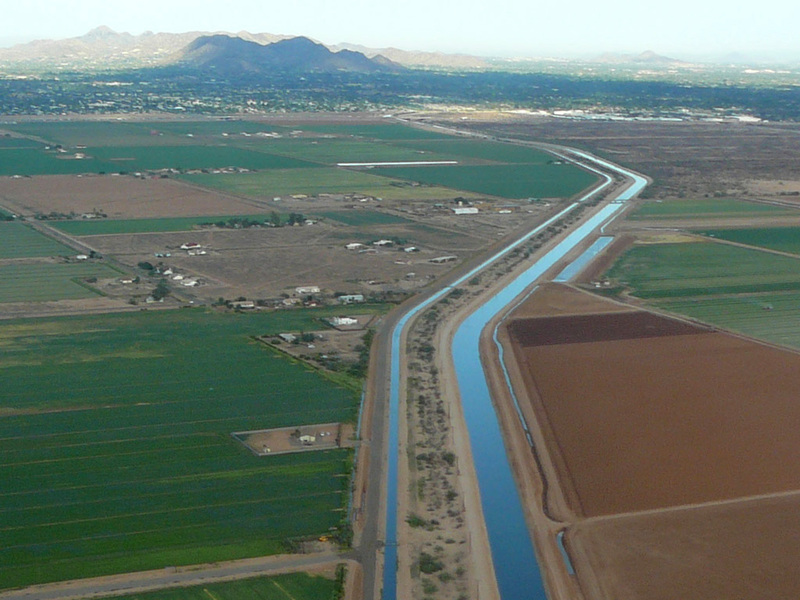 “It’s apparent that the importance of ensuring an adequate and quality water supply for Arizona’s varied interests figures prominently on Arizonans’ radar. This is a complex and dynamic issue, but clearly one that Arizonans understand as a priority that needs to be thoroughly examined and addressed,” Daugherty said. The second installment of findings from the Morrison-Cronkite Quarterly Poll will be released March 3 and include such topics as marijuana laws, water supply and care giving for people with disabilities. Learn more about the poll results. Arizona State University students are invited to submit their stories and poems to the annual Glendon and Kathryn Swarthout Awards in Writing. Do you write fiction or poetry? Would you like to win more than $2,000 for one poem or story? Then mark your calendar for March 17, the deadline to submit your work to the annual Glendon and Kathryn Swarthout Awards in Writing. Arizona State University students campus-wide are invited to submit their stories and poems for consideration. One of the top five creative writing prizes in America for undergraduate and graduate writers, the Swarthout Awards in Writing were established in 1962 by celebrated authors Glendon and Kathryn Swarthout. One hallmark of the awards is that they are open to students in all departments and schools at ASU, not just students from creative writing or English programs. Writers must be under age 26 by the submission deadline of 4 p.m. on March 17. A complete set of rules and guidelines can be found on the awards website. According to Cynthia Hogue, a professor of English at ASU who holds the Maxine and Jonathan Marshall Chair in Modern and Contemporary Poetry and directs the creative writing program, the Swarthout Awards Ceremony is a high point of the spring semester each year. “What began over fifty years ago as a generous gift to Glendon Swarthout's former department – Swarthout made the remarkable move from English professor to best-selling author and Hollywood screenwriter – has now become the largest creative writing award given in the U.S. by a Department of English,” said Hogue. Journalism alumnus Adam Johnson, author of the Pulitzer Prize-winning novel “The Orphan Master’s Son” and associate professor of English at Stanford University, won the Swarthout Award in fiction in 1992. “Winning the Swarthout Prize as an undergraduate was my first validation that maybe this thing could happen, and so thanks to the Swarthouts for making that happen,” Johnson said. 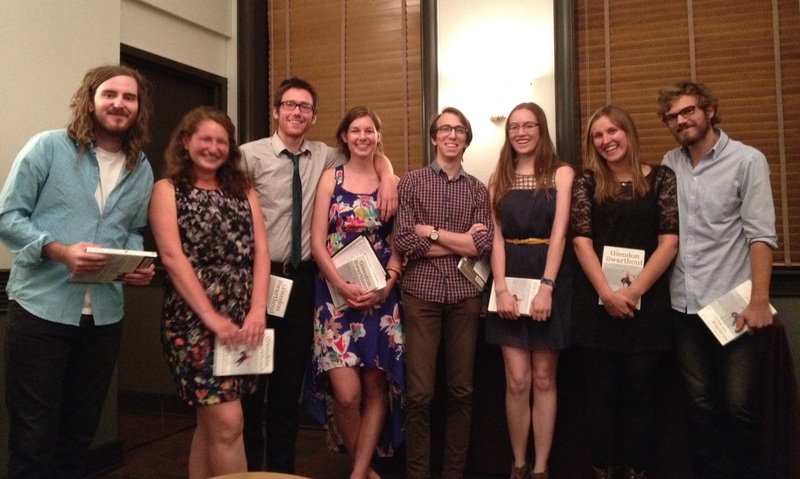 The Swarthout Awards in Writing are administered by the creative writing program in the Department of English, an academic unit of the College of Liberal Arts and Sciences at ASU.